The Australian Pavilion, on Ile Notre-Dame near the Expo-Express station, is in a setting with typical Australian trees and shrubs, flowers - and a mob of kangaroos. A coral wonderland represents part of the Great Barrier Reef. The pavilion is set on a steel and concrete pillars, and sloping walls of glass and aluminum aid natural lighting. At the entrance, four large murals depict aspects of Australia's role in the Man and his World story. Visitors to the pavilion proceed by a spiral ramp to main hall exhibits on Australian achievement and prospect. En route they view large colour transparencies showing typical Australians. Thus between environment and achievement, in the spirit of Man and his World, people have their place. Australian Hostesses standing on a beam of the German Pavilion. Background: The Australian Pavilion. Visitors using specially-designed chairs in the main hall hear the recorded voices of famous Australians talking on subjects relating to the display. In the science area, a model radio-telescope revolves before a panorama of the Southern night sky. Canberra, Australia's capital, is featured in a Way of Life display and National Development has a working model of the giant Snowy Mountains hydro-electric and irrigation project. Contemporary art and the bark paintings of the Aborigines are shown. Click here to see models and diagrams of the Australian Pavilion. Click here to see an additional model of the Australian Pavilion. 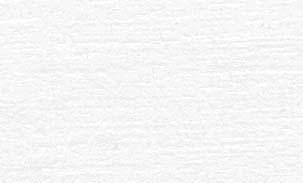 Click here to see a map of the Australian floor plan. 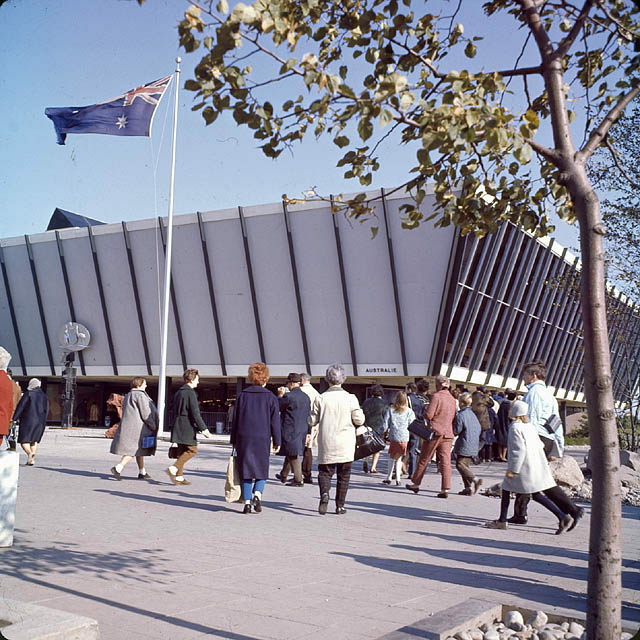 Click here to see photos of the Australian Exhibits being shipped to Expo 67. Click here to see photos of the Australian National Day program on June 6, 1967. Historical footnote: "June 6, 1967 - Ex-Royal Australian Air Force Chief headed Australia's Expo 67 entry"
"When Prime Minister Harold Holt opened Australia’s pavilion at the 1967 International and Universal Exposition (Expo 67) in Montreal, Canada, on this day, this was the culmination of six months of intensive work by Air Marshal Sir Valston Hancock, the Commissioner General for the Australian exhibition. Hancock had only been offered the Expo post 18 months after he retired as Chief of the Air Staff in May 1965, the result of the Australian Government’s decision to make a ‘late entry’. The entire 10 hours of the Australian national day program was beamed live to Australia by satellite in the first direct telecast from North America. 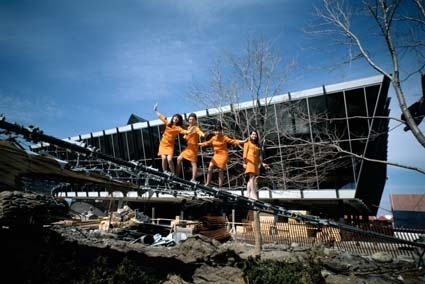 Expo 67 itself proved to be one of the most successful World Fairs ever conducted, attracting 50.3 million visitors during its six-month duration (20 million through the Australian pavilion alone), and is even considered one of the landmark events of the 20th century." -- source: Royal Australian Air Force Power Development Centre website.